Sky have pulled the broadcast of an episode of their satirical series Urban Myths after Michael Jackson’s children said they were sickened and offended by the portrayal of their father, played by Joseph Fiennes. Paris-Michael Jackson, his daughter, tweeted after seeing the trailer, which shows Fiennes made up with fake prosthetics. “I am so incredibly offended by it, as I’m sure plenty of people are as well, and it honestly makes me want to vomit,” she said. The episode is a tongue-in-cheek dramatisation of a rumoured road trip taken by Michael Jackson, Elizabeth Taylor and Marlon Brando in 2001, in the wake of the 9/11 attacks. The casting of a white actor as Jackson had already proved contentious, prompting accusations of whitewashing, though many pointed out that Jackson’s skin had been considerably lightened by this point and he had undergone cosmetic surgery. However, Jackson’s children were enraged by what they saw as the caricaturing of both their father and Elizabeth Taylor. Paris- Michael said: “It angers me to see how obviously intentional it was for them to be this insulting, not just towards my father, but my godmother Liz as well. Sky have always been keen to emphasise the series is a comedy, and not intended as a biopic. Speaking to the Guardian this week, Ben Palmer, the series director, said people should not jump to conclusions and described Fiennes’s performance of Jackson as a “really sweet, nuanced, characterful performance”. The episode had been due to air in April. However, in a statement Sky said that after the concerns raised by Jackson’s family, they had decided to pull the episode, but insisted it was not one “taken lightly”. “Sky is not in the habit of pulling programmes but we felt that this was the right decision to take,” they said. Fiennes himself defended the casting earlier this year, who said it had been a “wonderful challenge” to play Jackson and that people needed to remember it was in the context of satire. Other urban myths brought to life in the series include the moment when Muhammad Ali talked a suicidal man down off a ledge in Los Angeles, the time Bob Dylan knocked on the wrong door of a house in Crouch End, and the period when Samuel Beckett would drive a young Andre the Giant to school. Palmer said that while the episodes were based on a nugget of truth or rumour, they had taken “lots of poetic license” to create the comedy. © Provided by Guardian News. Joseph Fiennes as Michael Jackson and Stockard Channing as Elizabeth Taylor. 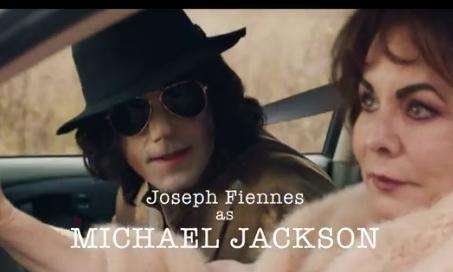 Sky Arts, the U.K. broadcaster behind the series Urban Myths, will not air the episode "Elizabeth, Michael & Marlon" with Joseph Fiennes after backlash from the family of Michael Jackson. The first trailer for the episode was released Wednesday and was met with swift blowback criticizing the series' choice of a white actor playing the African-American singer. By Friday, it had been consigned to the digital dustbin. Urban Myths, a show somewhat akin to Comedy Central's Drunk History, takes "a slightly tongue in cheek, mischievous – and deliberately ambiguous – look at what might have happened" in famous tales of celebrity folklore. As is the case with Drunk History, it features famous actors playing the figures involved. The episode titled "Elizabeth, Michael & Marlon," centers on a supposed road trip Jackson took with Elizabeth Taylor (Stockard Channing) and Marlon Brando (Brian Cox) took while fleeing post-9/11 New York. With all civilian air travel grounded, they set off in a rental car together, "reflecting on their lives, loves, careers and egos as they go." On Thursday, Jackson's daughter, Paris, expressed her strong opposition to the project on Twitter. "I'm so incredibly offended by it, as I'm sure plenty of people are as well, and it honestly makes me want to vomit," she wrote. Michael Jackson's nephew, Taj Jackson, also protested Fiennes' casting on Twitter. "Unfortunately, this is what my family has to deal with. No words could express the blatant disrespect." In a tweet, the broadcaster said it has taken the decision not to air the episode "in light of the concerns expressed by Michael Jackson's immediate family." They noted that Fiennes supported the decision. After the decision was made, they both issued follow-up tweets to their followers. "Thanks to everyone who made their voices heard," Taj said. "As I said it wasn't comedy, it was mockery with no taste. A great victory for his legacy!" In a 1993 TV interview with Oprah Winfrey, the singer, who died in 2009, once shared his feelings about potentially being played by a white actor after stories circulated that a Caucasian child would play him in a Pepsi commercial. Michael Jackson’s daughter, Paris Jackson, has responded to British TV channel Sky Arts’ decision to drop the controversial “Urban Myths” episode that featured the white actor Joseph Fiennes as the king of pop. Let’s hope that whoever ventures to play or cast Michael Jackson in a film or television show does so with a bit more care. 0 Response to "Sky pulls broadcast of show that cast white actor as Michael Jackson"